Irene is a graduate of the Royal Scottish Academy of Music. She continued her studies at the Britten-Pears School in Aldeburgh, in Munich with Hans Hotter and in London with Rae Woodland. Since representing Scotland in the BBC Cardiff Singer of the World competition she has established an extensive international career in concert, oratorio and recital work, with performances at the international festivals of Aldeburgh, Edinburgh, Northlands, Perth, Jerusalem Toronto and Reykjavik. Notable performances include Bach's Matthew Passion at Los Angeles Music Center with the LA Philharmonic; Schoenberg's Die Glückliche Hand at La Scala Milan; Mendelssohn's Elijah at the Palais des Beaux Arts in Brussels with the National Orchestra of Belgium; Handel's Messiah at St John's Smith Square with the OSJ; Dvorak's Te Deum with the BBCSSO and Sir Alexander Gibson for BBCTV; Clara Schumann Lieder recital for CBC, and a filmed performance of Israel in Egypt for Israeli TV. At home in Scotland Irene has sung with the RSNO, BBCSSO, SCO, the Scottish Baroque, Paragon, and Hebrides ensembles, and has broadcast frequently with Radio 3 and Radio Scotland. With Perth Festival Opera she has sung the major Mozart roles of Countess, Donna Anna and Fiordiligi in performances conducted by John Currie. In contemporary opera, Irene created the role of Lise in David Horne's cantata opera, The Lie, (commissioned and premiered by Radio 3) and took the soprano roles in the Paragon Ensemble UK premieres of Madness Lit by Lightning by Naresh Sohal, and The Musical Seminar by Gheorghe Costinescu. Her many acclaimed first performances include works written specially for her by Judith Bingham, Sally Beamish, Lyell Creswell and leading Scottish composers, James MacMillan, David Horne, Craig Armstrong, John McLeod and Eddie McGuire. 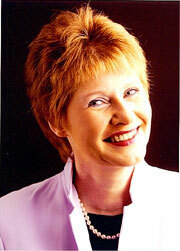 Irene is featured soprano on the British Music Label CD - Amaterasu - The Music of John Kenny. Other concert highlights have included the premier performances of Paul Patterson's Millennium Mass at Southwell Minster and the Sheldonian with the OSJ; Walton's Façade and a Radio 3 broadcast of Shostakovich's Seven Poems of Alexander Blok from the Waterfront Concert Hall, Belfast, with the Hebrides Ensemble ; Philip Glass's 100 Airplanes on the Roof for Paragon Ensemble; the world premiere of The Shadow Side of Joy Finzi by Judith Bingham: recitals, with pianist Iain Burnside, of English song at the Ludlow Festival and American song for the National Galleries of Scotland's Andy Warhol celebration, and a retrospective of the 20th century in song for Aberdeen University together with related master classes.